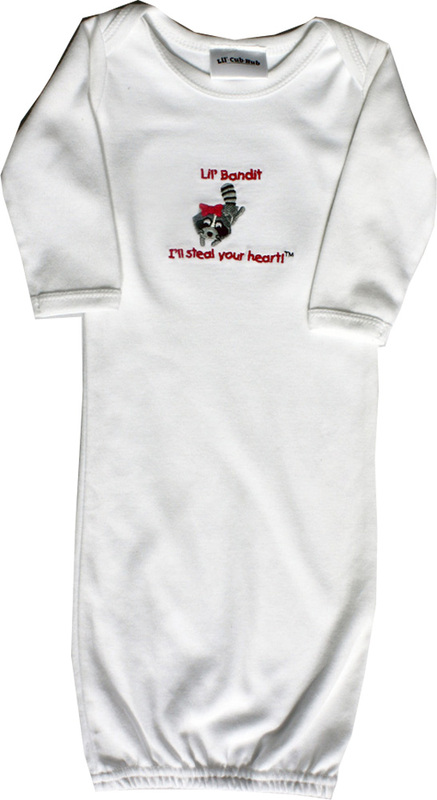 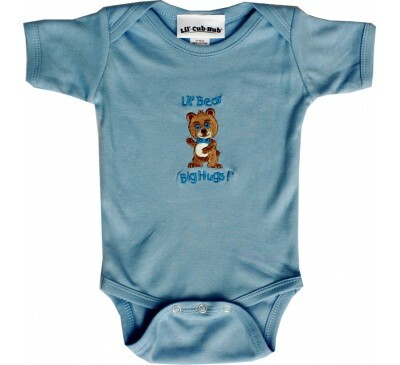 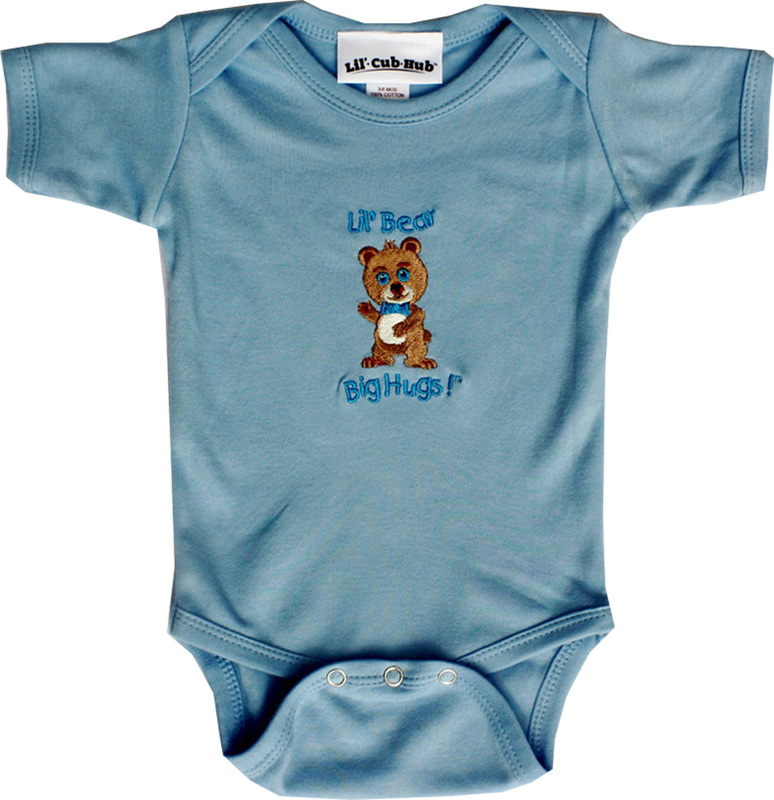 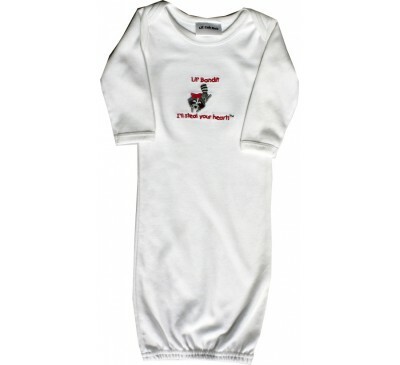 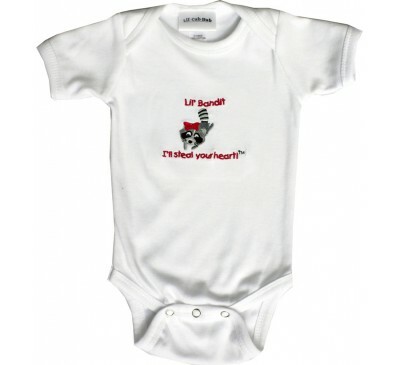 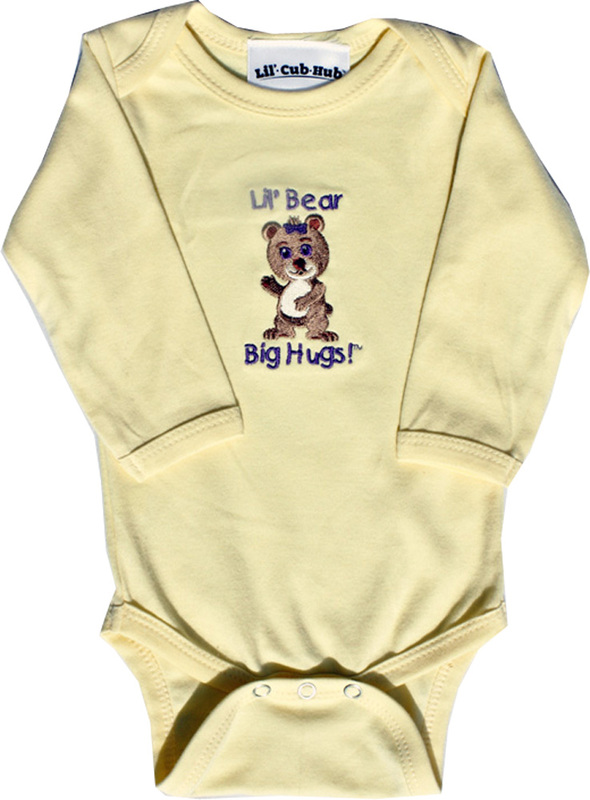 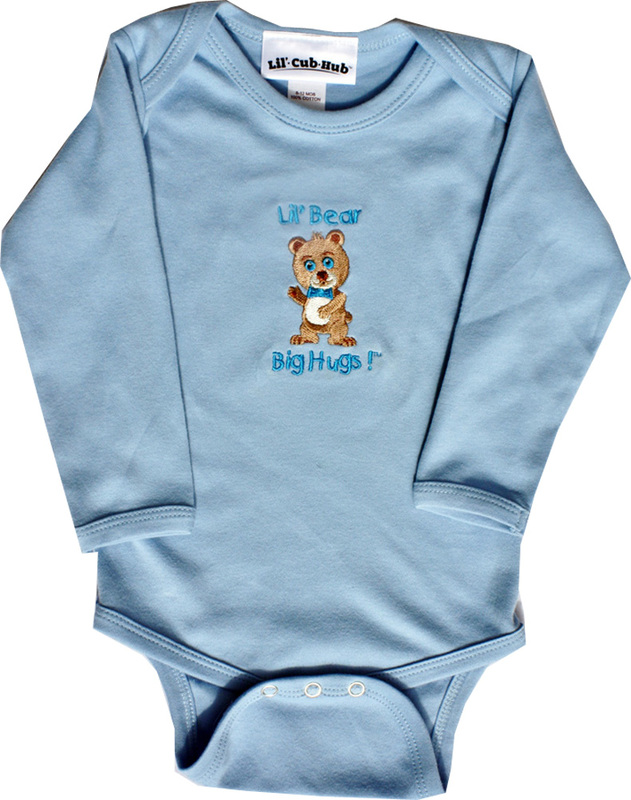 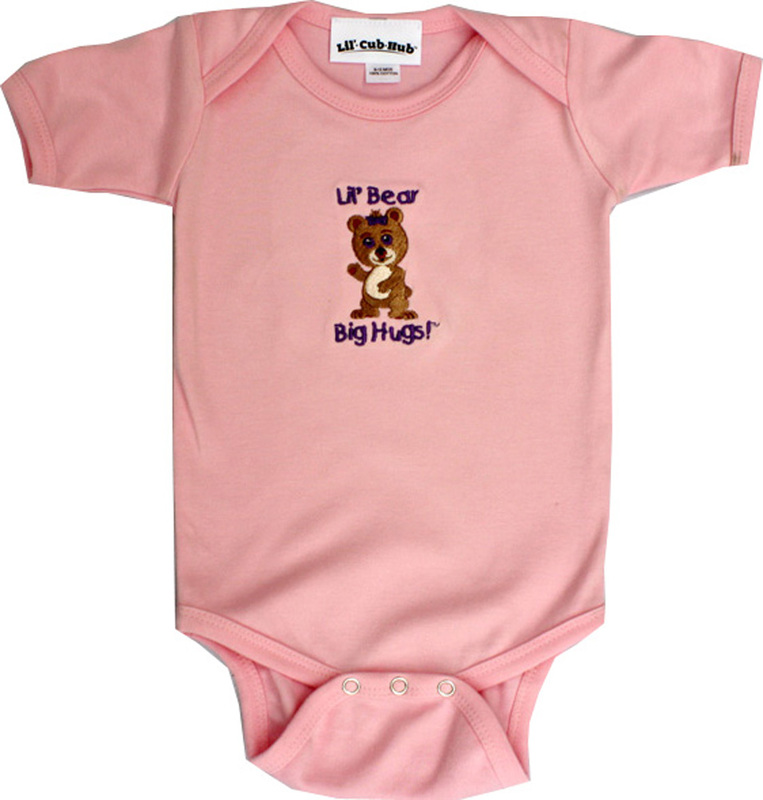 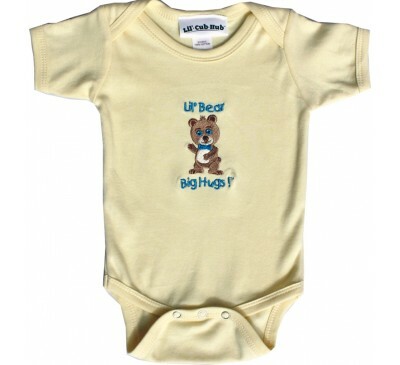 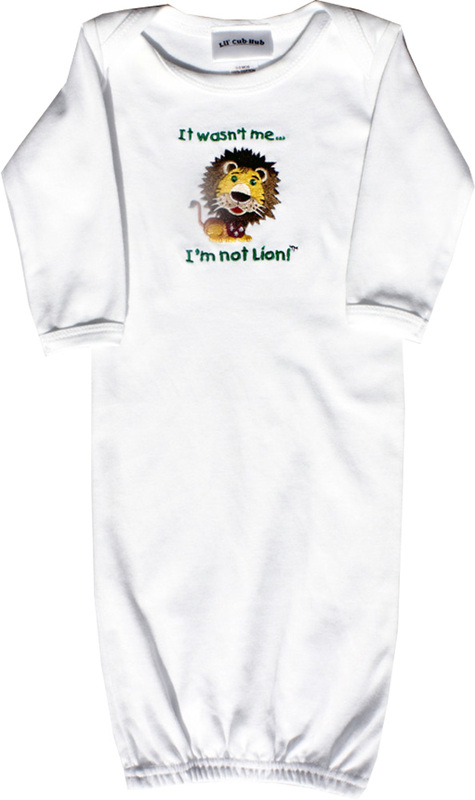 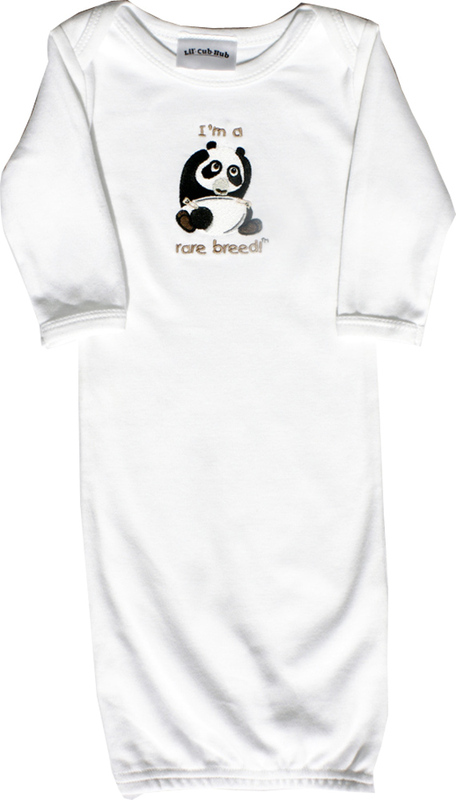 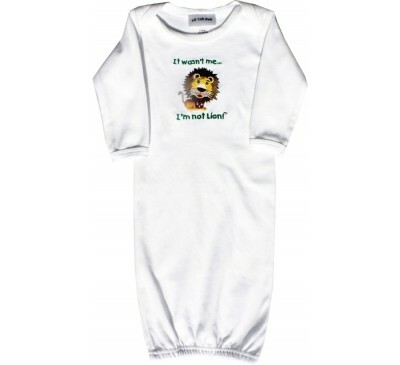 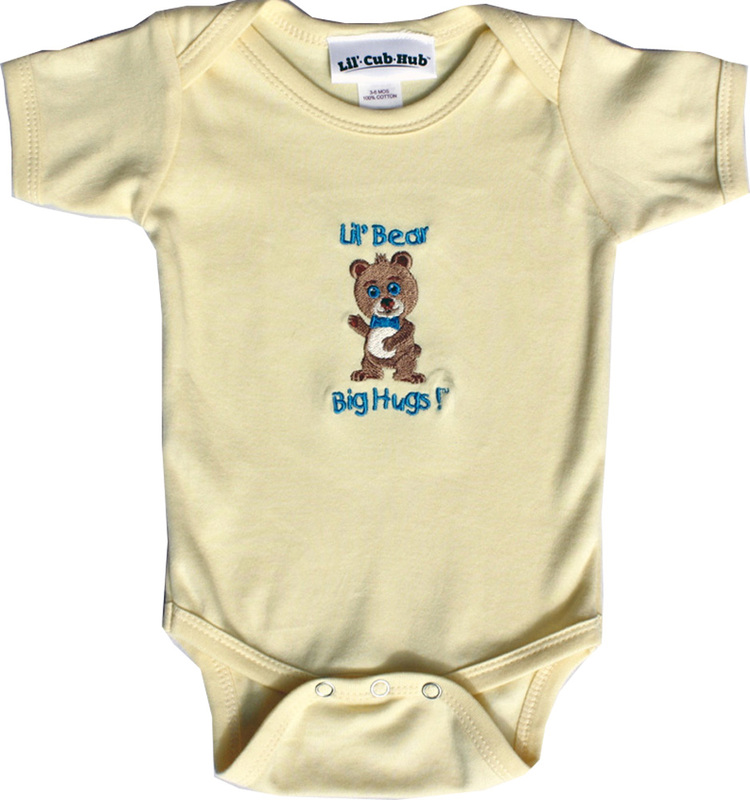 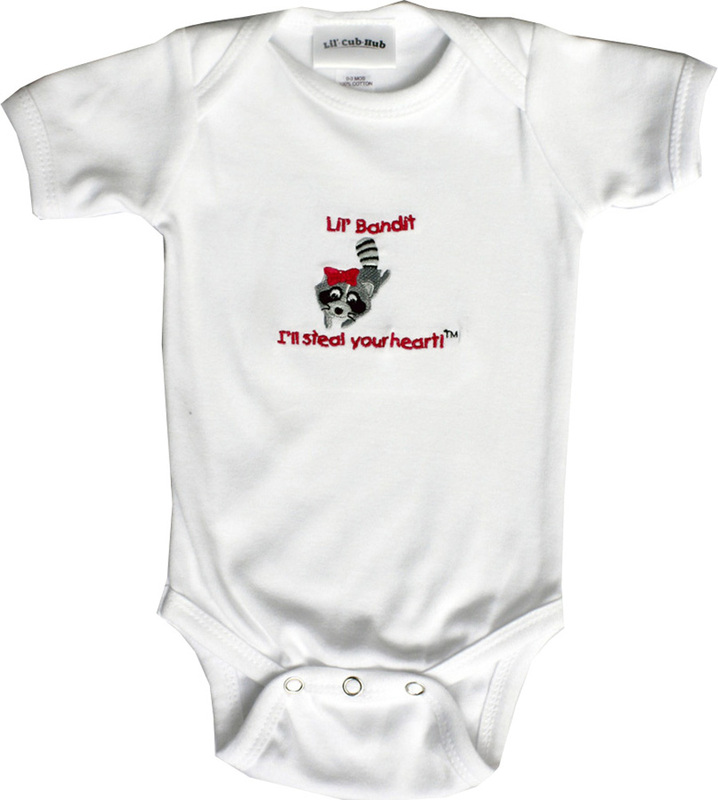 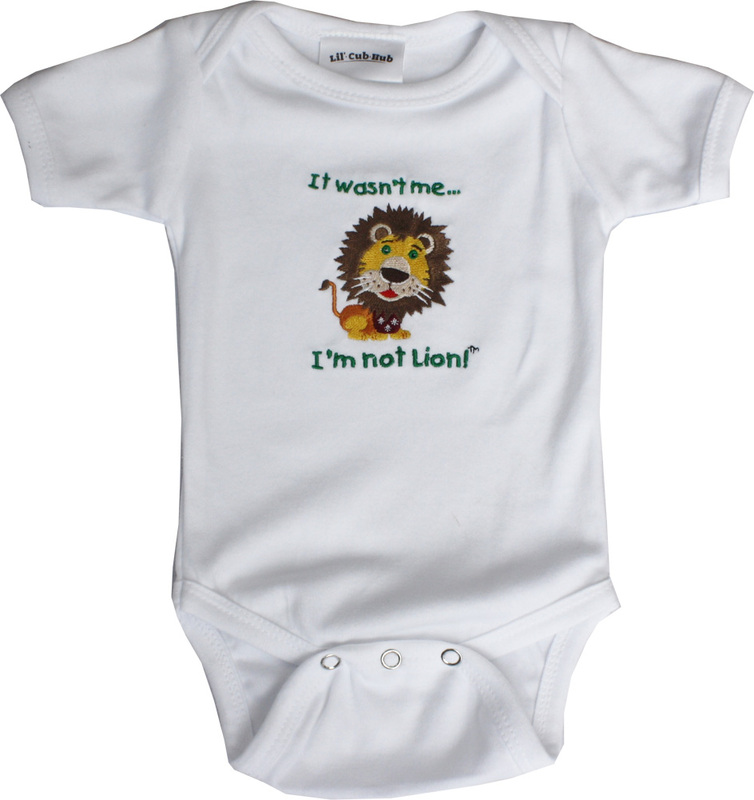 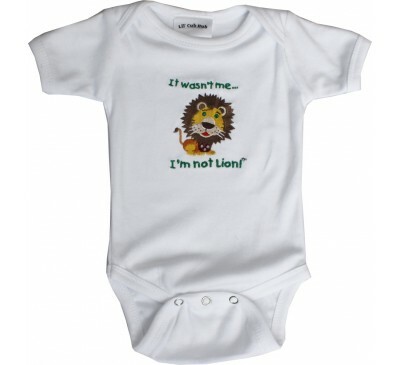 Lil' Cub Hub onesies and gowns are made from 100% cotton ring-spun fabric. 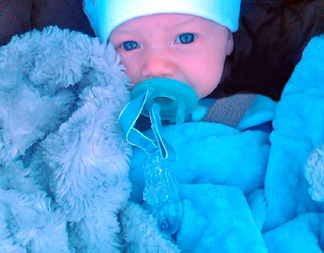 Both are a necessity for babies. 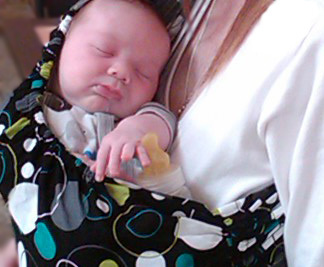 The gowns are wonderful for changing sleeping babies. 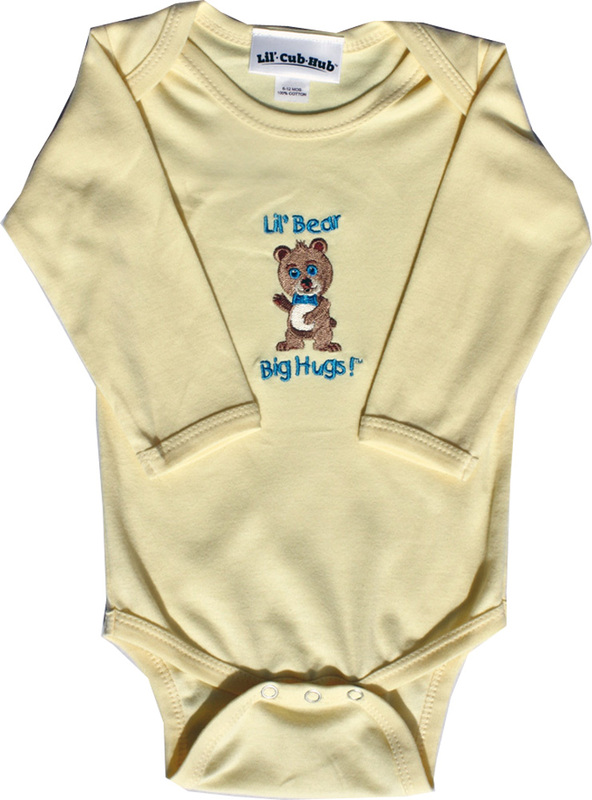 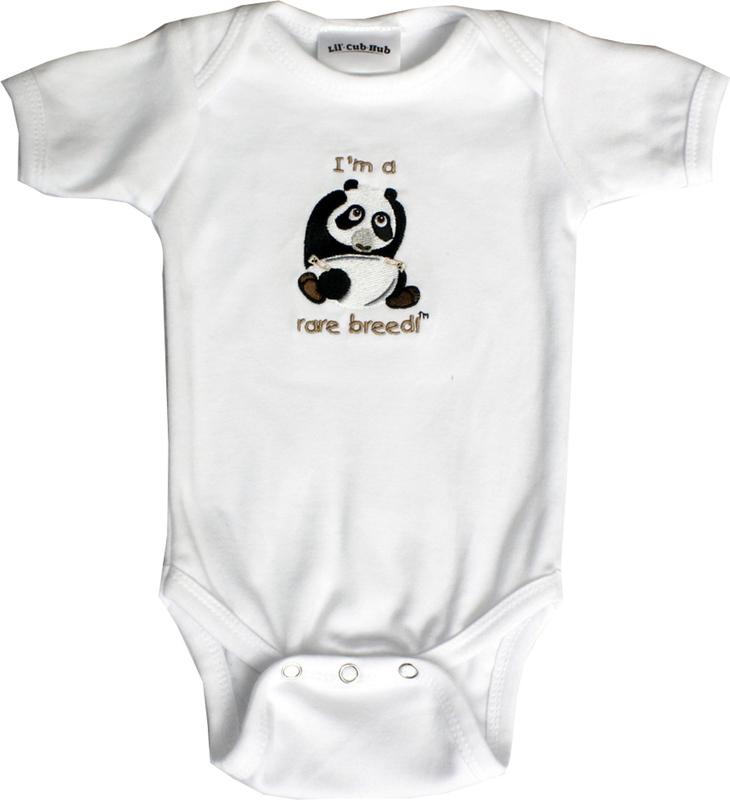 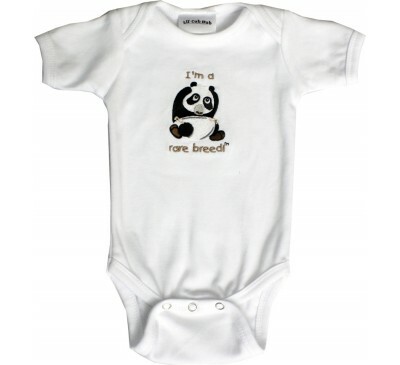 The onesies are perfect for versatility and can be worn alone or with other apparel as a decorative element.